May 27, 2013 May 26, 2013 Posted in food glorious food! Blend eggs, oil, coconut milk, sugar & salt. Combine coconut flour with baking soda and mix into batter. Heat 1 tbsp coconut oil & a knob of butter in a pan or flat skillet. 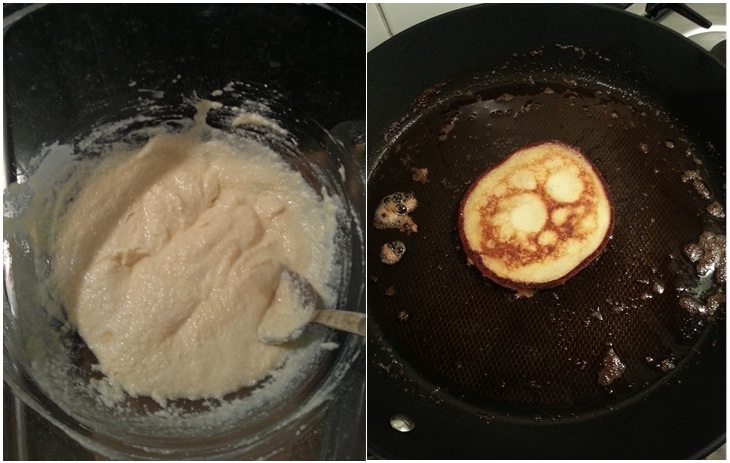 Spoon batter (about 2tbsp per pancake) into hot pan/skillet to make the pancakes. Batter will be thick but will flatten out when cooking. 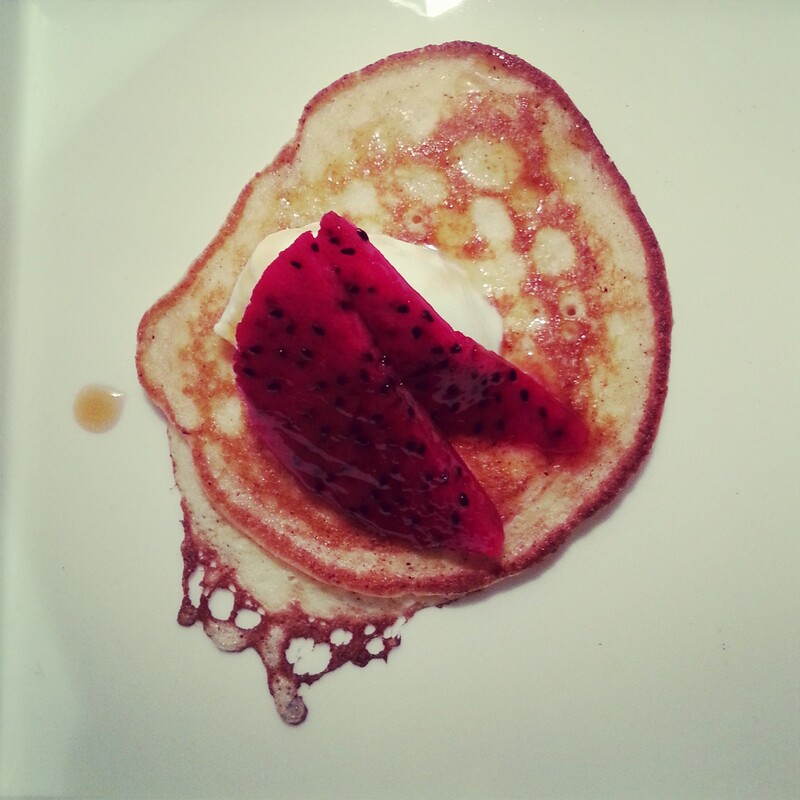 Peacan pancakes; mix 1/2 cup of finely chopped peacans into batter. Blueberry pancakes; fold 1/2 cup crushed blueberries into batter. And I for one can vouch that these were amazeballs! Hey guess what? I went to that Health Food store yesterday where Ian’s been getting his MCT oil. I hadn’t gone inside before but it’s amazing! I got coconut flour, coconut flakes and bags of activated nuts! Yeah!! Melly, this sounds wonderful! YUM! More and more I am loving the benefits of coconut. I am using coconut milk to make desserts even! me too Cara! I am coconutty obsessed!!! That looks so amazing!! I’ve been hearing a lot about paleo. Thanks hon, they taste damn good too! It is getting more well known which is fantastic!